Nuflow’s Pipe Relining techniques have minimal impact on the environment The traditional method of excavate and replace has multiple effects on the surrounding area. The use of heavy construction equipment results in a higher noise level in the vicinity of the work area. An enhanced installation process helps Nuflow reduce waste, and means they need less equipment on the job site which results in less energy usage and less emissions. The environmental benefits of noninvasive pipe relining technologies are extremely kind to ‘Mother Nature’. 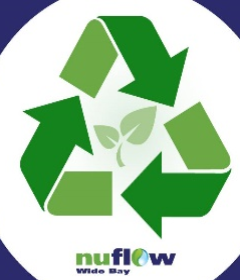 Current research shows that Co2 emissions are reduced when trenchless methods are used versus open-cut,as well as producing little waste for landfills and the fact that the process generates no carbon emissions during manufacturing makes Nuflow a fantastic environmental product. Nuflow Technologies, last year won The “Environment and Sustainability” award at the Gold Coast Business Excellence Awards. I've had to use Sam for my work several times now and he always delivers a quality workmanship and on time. Have also been getting awesome support in terms of how best to approach each job to attain the best outcome. Really impressed by the service. Very thorough job and really appreciate the feedback to know what's going on with the system. Very pleasant workers- thank you guys. Sam has done it again! Great result as usual. Great service in clearing our trenches and supplying video footage of the pipe condition. All at short notice. Thanks Kerry and Sam.Much appreciated. The best service I have had in 20 yearrs. State of the art equipment. Speedy service. I would recoomend this company and staff to anyone that needs a block drain fixed. Thank you for a great job. Sam is about as efficient as they come. Provides a great service and I would highly recommend anyone who has drainage problems to get Sam and the problems will be gone in no time. Also great rates too. Honest, hard working and very like-able tradesman who stands by his work. Top class. Sam was very prompt with his service. Excellent job cleaning up our problem. We would have no problem recommending his services. I was recommended to contact Sam. I was very impressed with the prompt service and outcome. Very fair pricing for a quality result. thanks Sam! Sam was very prompt getting to my house. Excellent job cleaning up the problem. Was friendly and didn't mind me asking questions. Thank you Sam for a job well done would recommend your services to others. Great timely service and advice given from a friendly bloke.Problem solved,thumbs up definately.Thanks Sam. Sam was awesome, great service , on time and professional. I would highly recommed nuflow. Thanks Sam, great service and promptly sorted out my blocked drain. Great service. Sam was able to come around within a few hours of making contact with him and sorted out the stubborn blocked toilet. Prompt service, efficient work and good equipment, what more can a client ask for. Not often is someone so interested in making my s__t their business! No moans about the price either, all round an excellent deal. Great service, very prompt and accommodating. Would highly recommend Sam! Faultless service. Arrived on time and had our problem sorted out in less than an hour. Highly recommended. My septic system was overflowing (about to backup into the toilet). I called Nuflow and they recommended a septic pumper who was able to come out within the hour (Waste Master) to empty the tank and then Mark from Nuflow showed up very shortly after to investigate the blockage. He was prompt, happy to discuss the problem in detail, had the right equipment and was able to give us detailed information about where our drainage field went to and what the condition of the field was in. The price was very fair for such a prompt service and I would definitely look to get Nuflow out again for any future issues. Mark was also a very friendly bloke to deal with and a credit to the company. Excellent prompt and courteous service Thank You. Came on time, fixed the problem, showed me the result on his 'loo cam' and has placed me on his 'root recall' list for 12 month check. Will attend sooner if requested. Very personable chap. Within about 4 hours, Sam from Nuflow Wide Bay was able to take my call, hear my problem, make a time, attend at that advised time, locate the problem (which two other plumbing companies have been unable or unwilling to find), clear the sewer, check it with a camera, and offer useful advice. He was willing to listen to my explanation of the problem and fix it. The fee seemed more than reasonable considering the excrement he must have to put up with, and even then, how do you put a price on getting the job done properly? The right gear, the right knowledge, the right skills, and the right attitude. Professional and friendly all the way. 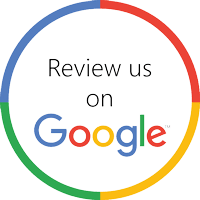 We received great service from this company. Prompt and friendly. They are very thorough and I wouldn't hesitate to recommend them.